I JUST read this piece from a web site called The Daily Green, and it reports on the possible food recall of processed food products containing HVP (hydrolized vegetable protein) due to salmonella contamination. produced by boiling cereals or legumes, such as soy, corn, or wheat, in hydrochloric acid and then neutralizing the solution with sodium hydroxide. The acid hydrolyzes, or breaks down, the protein in vegetables into their component amino acids. The resulting dark coloured liquid contains, among other amino acids, glutamic acid, which consumers are more familiar with in the form of its sodium salt, monosodium glutamate, or MSG. It is used as a flavor enhancer in many processed foods. 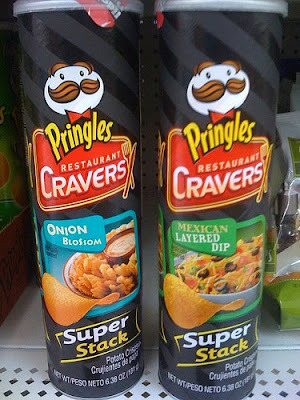 Included in the recall are two variants of Pringle's potato chips, the Restaurant Cravers Cheeseburger potato crisps and Pringles Family Faves Taco Night potato crisps. For more info on the latest food recalls, check out the US Food and Drug Administration web site. i'm an avid follower of your blog and i am a beginner blogger myself. yeah i heard about the pringles recall but i just know through your recent entry that the recall is also due to the hvp..
in the states, the reason they gave for the recall though is they are suspecting salmonella contamination. which one is it po? or could it be both? by the way,i hope you don't mind, i created a link to this entry. last month,i also wrote something about food and watching what we eat. It's salmonella contamination in HVP. Thanks for being a fan.